I'm coming up on month three of near-uninterrupted use of the Pixel (specifically the Pixel XL), and as I've spent more and more time with Google's chosen phone, I think I've got a solid list of areas where I think Google could improve the device when a successor is released. 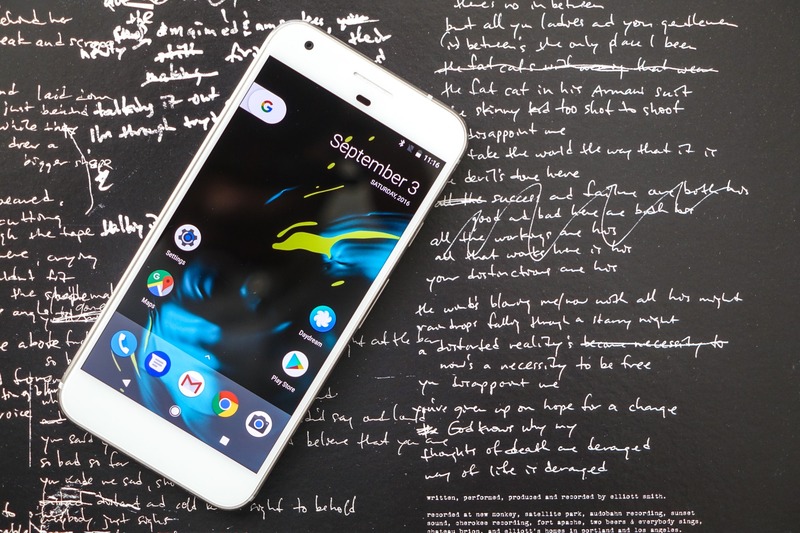 While I still think the Pixel is quite easily the best Android phone currently on sale, it's not without compromises, some of which were not readily apparent to me until well after I started using it. 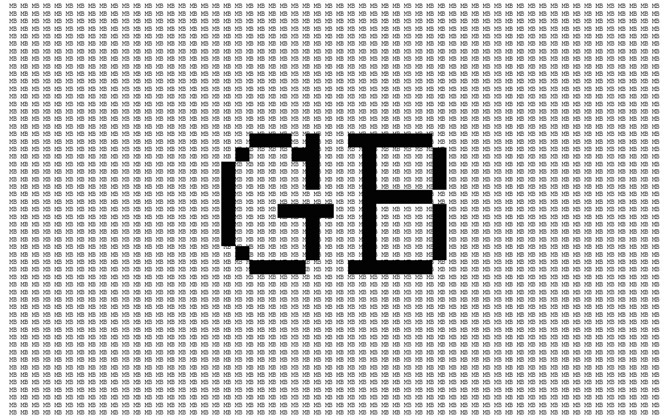 Here are five areas I think are ripe for improvement on the Pixel, and that I hope are addressed when we see a new Pixel (again, hopefully) later this year. The Google Pixel has a wonderful camera, and I use it to take a substantial amount of photos. You may also use it to shoot 4K video, which it does a pretty decent job at, too. These activities generate files that consume quite a bit of space, though, and even fastidious use of Google Photos' space free-up feature isn't always helpful. Between cached music, pictures, and all my various apps, I'm regularly running up against less than 5GB of free storage on my 32GB Pixel XL. With budget flagship phones like the OnePlus 3T and ZTE Axon 7 making 64GB a given these days, there really isn't much excuse for a phone costing $770 not to at least be matching that figure. I get it: the Pixel probably uses more expensive storage parts than those phones, but it also costs over twice as much. I think, in 2017, Google may have a good opportunity to set itself apart, if only slightly, from Apple and Samsung by doubling up on its base storage. Do I think it's going to happen? I'm not hopeful on this one. Google seems to have mirrored Apple's storage tiering (minus a 256GB model), with the cheapest model essentially acting as encouragement for those who might need a bit more space to pony up the extra cash for the 128GB version. 64GB of capacity as the starting point would probably dramatically reduce sales of the 128GB model, reducing the value of having a second storage SKU at all. But hey, maybe they could up to 256GB at the second tier? This was one that was fairly obvious from day one with the Pixel, but I feel like it's something that's grown more acute the more time I've used it. Not only is the placement of the speaker far from ideal (I accidentally cover it with my fingers regularly), its output is pretty low. A second speaker, a more powerful single speaker, front-facing speakers - these are all areas where Google could improve the Pixel speaker experience, and I wouldn't say doing at least one of them is especially technically daunting. I think the Pixel's subpar speaker came down to, like the lack of waterproofing, deprioritization during a relatively rushed development cycle. 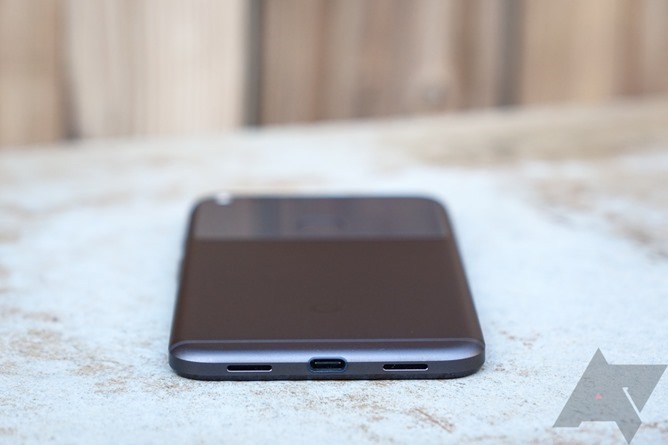 The speaker feels like an afterthought both in placement and performance, and I don't think that's a controversial thing to say, especially given the Nexus 6P of 2015 had powerful dual front-facing speakers. Even the Nexus 6 with its tiny little bezels managed the same. This seems more likely as an area where I'd expect to see improvement from Google in 2017, though if Google adopts a thinness-above-all-else design mantra, who knows what could happen. 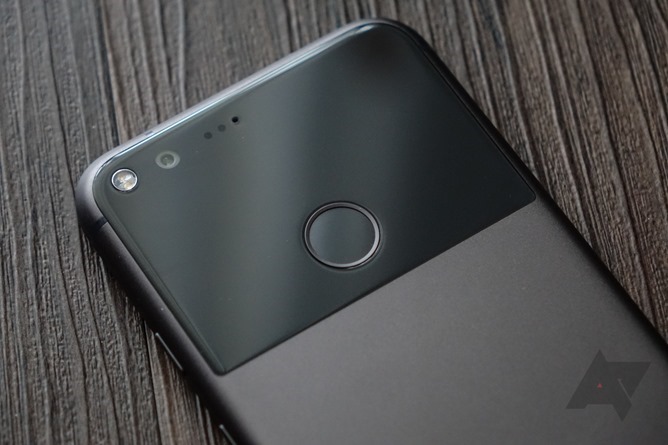 I've heard from many Pixel owners that they're fine with the speed of the Pixel's fingerprint scanner, and that's totally cool. Here's the thing: if you've used a phone with a more modern scanner part (Mate 9, Moto Z, OnePlus 3T), the Pixel's feels noticeably slow by comparison. It's not the slowest I've ever used, but once you're accustomed to the near-instant response of the OnePlus 3T, for example, going back to the Pixel's fingerprint scanner is a bit of a letdown. And, if you're into that sort of thing, a newer fingerprint reader could also bring potentially better support for gestures on the scanner with more responsiveness. Either way, I know what the competition brings to the table here, Google, and they're bringing more than you. Time to step up. This one seems to me all but a given - the Pixel is already using an older scanner part, and continuing to use it in 2017 would be bizarre. Google has a long and storied history of making first-party cases for its Nexus, and now Pixel, phones. Those cases have a long and storied history of being way too expensive and not even all that good, generally speaking. Our resident case guru Jon not only agreed they're too much money for too little case, they're just not great at being cases. 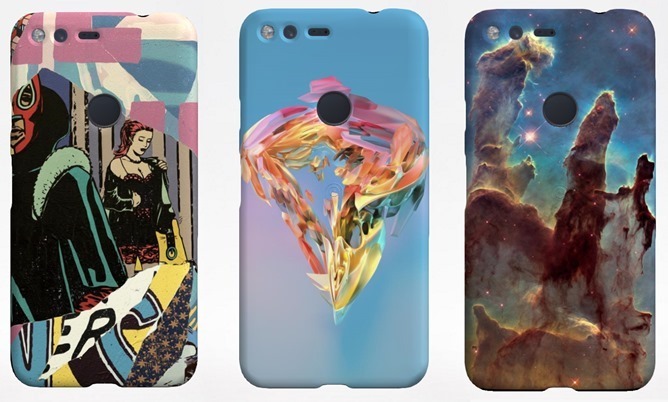 While I absolutely adore the aesthetic of Google's Live Cases, they're also super expensive and really don't do much to protect your phone from anything beyond small bumps and scratches. Live Cases are an awesome idea, but the execution remains subpar when you go anywhere outside the question of looks. They're cheap-feeling, they crack and split, and they don't really offer appreciable shock protection. Google can do better. Companies like Spigen make thin, stylish, affordable, and highly protective cases for all sorts of phones, and I have to think a company of Google's size could maybe learn a thing or two from those who have been in this business for a long time. This one feels like a long shot - Google clearly intends its cases to be more a commercial endeavor than a product one (i.e., these are all about making money), and that will probably always entail putting quality and engineering beneath the question of cost and procurement strategy. Apple does it, Samsung's been doing it, LG's probably going to do it - Google, you can't get away with an unruggedized flagship in 2017. It's just not going to look good. Now, we have every reason to think Google will make this a priority for the next Pixel. WIRED claimed that, speaking to Googlers, the current Pixel's lack of waterproofing was owed to a rushed product development cycle - there just wasn't time to build it into the phone. That should then imply that Google wants to make it a priority for the next device. If Google drops the ball here, they'll rightly be ridiculed. 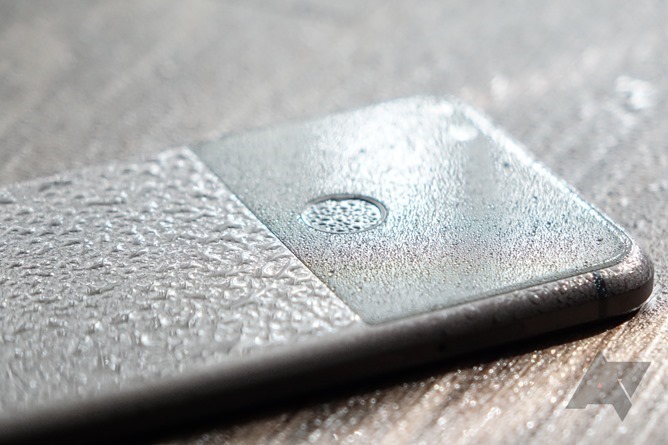 Waterproofing may not be a major issue for everyone, but it's just one of those things that we're coming to expect on these high-end devices, and one that really doesn't come with any new compromises in the age of sealed and adhesive-ridden electronics. Of course, these are all just one person's opinions - what do you think the next generation of Pixel phone should improve upon that the current one just doesn't quite seem to get right?